Information I found by Rachel Venokur-Clark (www.care2.com researcher) explained how miraculous fresh summer fruit is, not just taste-, but health-wise. And the closer to home you find your fruits, the more miraculous it is (the fresher it is, the more vitamins, nutrients, and enzymes local fruit contains). 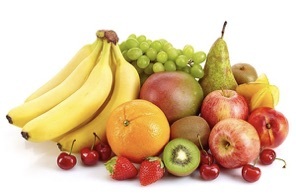 Temperatures are rising and as the temperature rises, eating raw fruit can efficiently cool the body. It’s especially good for you when you’re overstressed or overheated. Then there’s using fruit to satisfy your sweet tooth; this is the best way to avoid chemically processed and refined sugars. And there’s terrific news about fruit that comes from loads of recent research: It’s not the blood-sugar-bad-guy that we once thought it was. 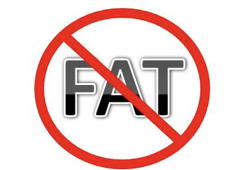 Turns out, science says it’s the fat in food that causes blood sugar issues, not natural fruit sugars. Simply put, they’re some of the tastiest and most natural healers available! So with that as a fruit-is-healthy introduction, take a look at even more of the miraculous things some specific fresh fruits do for us. Apricots: They’re great for lung conditions and asthma. And they do an excellent job of helping with anemia, due to their high copper and cobalt content. 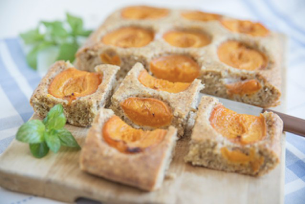 Here’s a family favorite recipe that focuses on apricots in an easy-to-make 9x13 cake. While CAKE is in the recipe name, it’s perfect for a snack as well. Preheat oven to 350°F. Butter a 9-x-13-inch cake pan or coat pan with cooking spray; set aside. In a medium-sized bowl, mix together the flour, oatmeal, baking powder, baking soda, cinnamon and salt; set aside. In a large bowl, beat the butter with an electric mixer at medium speed until creamy. Slowly add the white sugar and brown sugar; beat until light and fluffy. Add eggs, one at a time; beat until smooth. Add dry ingredients alternately with the buttermilk, beginning and ending with the dry ingredients. Stir in apricots; do not over-mix. Pour the cake batter into prepared pan. Bake the cake about 35-45 minutes, until done and golden brown on top. When cool, sprinkle the top of the cake with confectioners' sugar. Bananas: You likely know one of their best assets is their high potassium content (which powerfully helps hypertension). But did you also know they do a very effective job of lubricating the intestines (meaning constipation is addressed). And they’re great for helping heal ulcers. 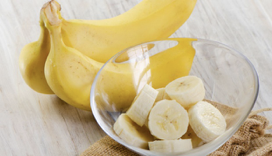 Bananas also detoxify the body and help manage sugar cravings. They’re truly a miraculous fruit. Cherries: Sweet or sour, they increase overall body energy, help with arthritis and rheumatism, and are rich in iron. They’re almost addictive, they’re so good. We love them in salads, drinks, sauces, and desserts. Speaking of dessert, here’s a delicious recipe that came to me over 40 years ago from Aunt Annie. Preheat the oven to 400°F. In a blender blend together 1/3 cup of the sugar, the flour, the eggs, the milk, the vanilla, the zest, the almond extract, and the salt until the custard is just smooth. 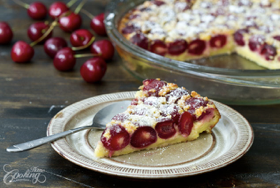 Arrange the cherries in one layer in a buttered 3-cup gratin dish or flameproof shallow baking dish, pour the custard over them, and bake the clafouti in the middle of the oven for 20 to 25 minutes, or until the top is puffed and springy to the touch. Sprinkle the top with the remaining 1 tablespoon sugar, dot it with the butter, and broil the clafouti under a preheated broiler about 3 inches from the heat for 1 minute, or until it is browned. Serve the clafouti with the ice cream. Grapefruit: When you hear “grapefruit,” don’t you immediately think “good source of vitamin C?” While that’s all true, this satisfying fruit also improves digestion, increases appetite during pregnancy, alleviates intestinal gas, and reduces mucus in the lungs. Who knew? Papaya: Tropical fruit is almost mysterious. And since I’ve discovered papaya, I’ve decided it’s well worth what it costs. While it certainly costs more than the proverbial banana, for instance, it’s not just tasty, it is SO healthy. Papaya contains carpaine (an anti-tumor compound), so it’s a good cancer-protective. And it also tones the stomach, acts as a digestive aid, moistens the lungs, and alleviates coughing. This fruit adds an amazing taste when included in smoothies. Finally, raspberries: It would be hard to find a healthier fruit. Low on the glycemic scale, this berry is a potent liver-, kidney- and blood-cleanser. 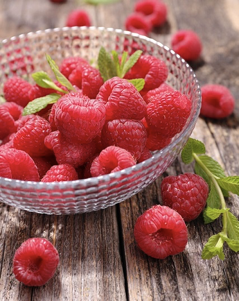 Raspberries also help regulate the menstrual cycle. And to top that all off, they help with anemia. This is such an important fruit that it’s smart to keep them around all year. When your local season is finished, consider keeping plenty in your freezer.